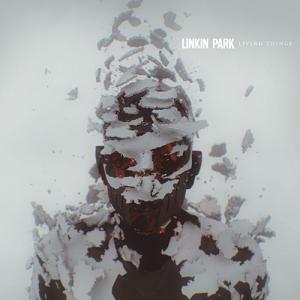 JP's Music Blog: CD Review: Linkin Park Gathers Around All "Living Things"
CD Review: Linkin Park Gathers Around All "Living Things"
Linkin Park were late-comers to the nu metal scene, but since their introduction to the musical genre, they became the torch bearers. Their mix of pounding beats, screaming vocals and the occasional hip-hop scratching has become the blueprint for many of today’s rising metal bands. They add a sort of energy to their songs that isn’t always easy to do, but Linkin Park continue this feat on a regular basis. The band has had three consecutive albums debut at the number one spot on the Billboard Album chart and their latest album; “Living Things” continued that trend. The new album was released on June 20 and debuted at that number one spot on the Billboard Album chart. The new album was co-produced by Rick Rubin and singer Mike Shinoda, as were the last three Linkin Park albums. Linkin Park will begin their tour in August as part of the Honda Civic Tour. They will be performing on August 12 at the Mohegan Sun arena with Mutemath before heading out on the road with Incubus. For more information on the new album and for a complete list of tour dates, check out linkinpark.com. Linkin Park – Living Things is the best album I ever heard and I loved listening to it continuously and want to see them live so I have decided to get cheap Linkin Park tickets from GoodSeatTickets at best prices!